DIGGING DEPTH 7' 5" CAB HEIGHT 86.7"
Operating Weight: 3668 lbs. Width: 38.6" to 53.5"
Power: 13.9 Horsepower Height: 7'4"
Travel Speed: High 2.4 mph, Low 1.4 mph. Operating Weight: 3704 lbs. 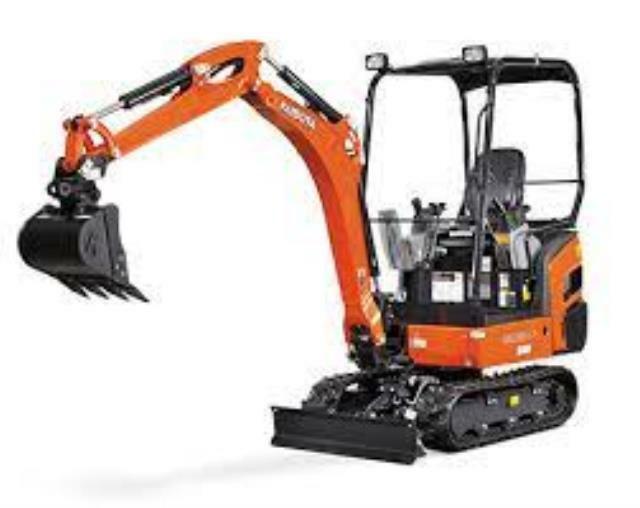 Width: 36.1" to 36.11"
* Please call us for any questions on our excavator mini 4000lb class rentals in Tualatin and Eugene, serving the Portland Metro area, Eugene/Springfield Metro area, Oregon, and SW Washington.